Portfolio | The Virginia Tech Foundation, Inc. The Virginia Tech Foundation makes a positive impact locally, regionally, and globally by leveraging its assets to advance the university’s land grant values—discovery, learning, and outreach. 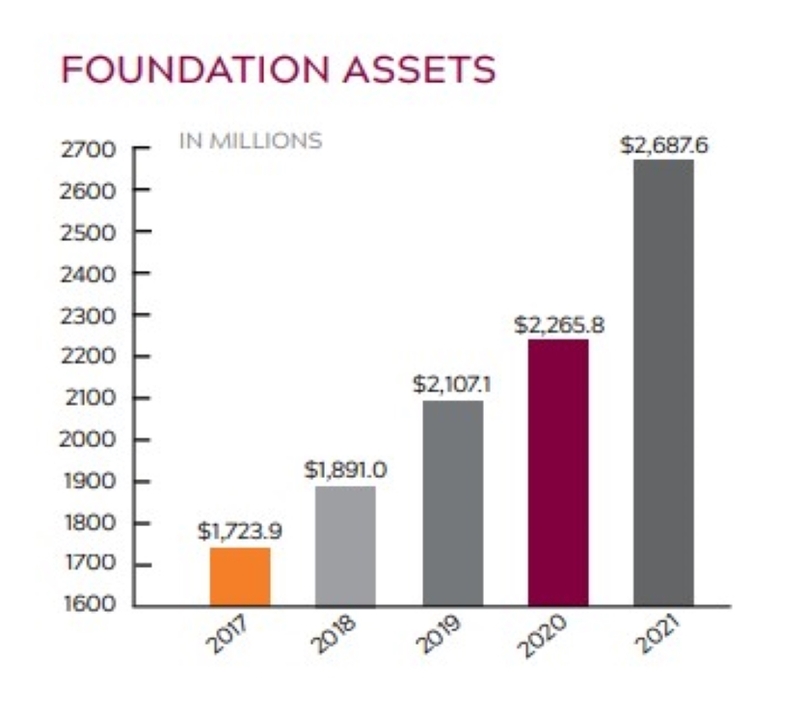 The foundation manages assets valued at over $1.9 billion of which $1.15 billion is held in the endowment. 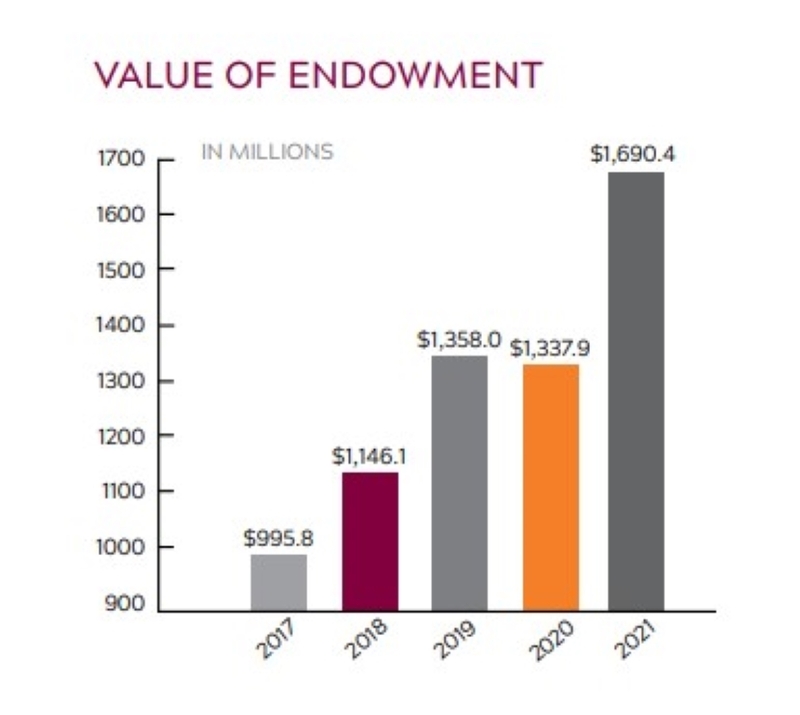 Of that total, $1.09 billion is invested in the foundation’s pooled consolidated endowment fund, while $57.5 million is held separately in notes, deeds of trust, gift annuities, contributions receivable, real estate partnerships, and other miscellaneous endowed assets. The foundation's real estate portfolio includes properties ranging from innovational to academic to recreational. It supports initiatives targeting economic growth, technological advancement, and business creation. Some examples include the Virginia Tech Research Center – Arlington, North End Center, and 601 Prince Street which is part of WAAC. The foundation currently leases approximately 675,184 square feet of office space, 542,083 square feet of research/development space, 175,284 square feet of academic space, 65,370 square feet of retail space, and holds over 1,900 acres of rich agricultural land for the university. The foundation also owns an 18-hole golf course that serves as the training facility for the Virginia Tech golf teams, a 90-acre active quarry from which most of the Hokie Stone is mined, four parking garages totaling 1,461 parking spaces, the WVTF Public Radio and RADIOIQ stations that reach over 2 million listeners, and a 331-room historic hotel and conference center in Downtown Roanoke. All of these assets are owned and managed by the foundation for the sole benefit of the university. View the foundation's full real estate portfolio >>.